Water damage presents an immediate threat to your home or business because invading water that gets into systems like drywall and floors over time will begin to eat away at these structures and cause mold and foundation problems, so before this happens and losses occur contact our water damage Salt Lake City experts at 911 Restoration Salt Lake City right away. Servicing the area for over 35 years, we pride ourselves on being the helping hand during any crisis. We are also experts in mold mitigation services if you’re dealing with mold or mildew, which usually develops from untreated water damage. However, because we respond to all emergencies within 45 minutes guaranteed, mold doesn’t stand a chance. 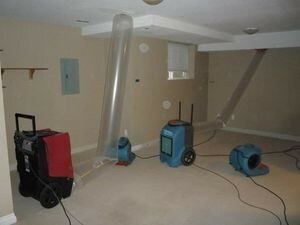 So don’t wait until water damage or mold puts your property at risk, call our water damage American Fork team now! Water damage from a roof leak is fairly common and can be taken care with ease if addressed immediately by trained professionals like our water damage American Fork team, but the first step you or a family member should take in such a scenario is placing a large bucket under the ceiling leak to catch the leaking water. The last step is not necessary but is recommended in order to avoid mold growth if significant amounts of water have soaked into your carpets. Our goal is always to protect your investment, as well as the health of your family. Our water damage American Fork team is dedicated to keeping residents happy and living standards high in this city by keeping all of the homes and businesses in the area completely free of water damage. So call our water damage American Fork team today so we can fix all of your problems fast and then move on to helping you file your insurance claim! Our water damage American Fork insurance specialists at 911 Restoration will help you file your insurance claim because luckily, most water damage is covered by a standard homeowner’s insurance policy. However it is also important to note that many incidents that stem from outdoor emergencies, like a river flooding, require supplemental flood insurance. Additionally, some items are not covered at all, like negligent acts. In those cases the cost of water damage restoration service varies depending on the size of the job and the amount of time technicians spend addressing a disaster. Most homeowners, however, do not pay much from out of pocket for restoration services. This is great news because water damage is one of the most frequent problems that befall homeowners, according to studies by the Insurance Information Institute. At 911 Restoration we always work overtime to take the hassle out of every part of the restoration process, from the cleanup to the claim filing. So when looking for a company that takes care of you and your family, don’t settle for anything but the best and call our water damage American Fork team now! 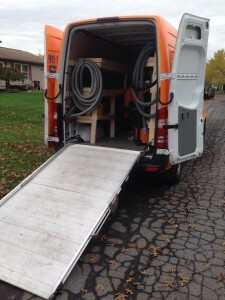 911 Restoration Salt Lake City is the best restoration company in American Fork because our water damage American Fork team is dedicated to the health and happiness of all of our customers in the area. 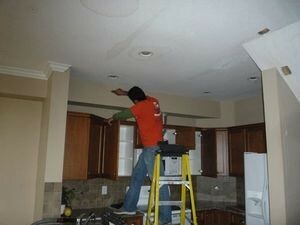 We do this by providing free inspections for mold and taking care of clients’ homes as if they were our own. At 911 Restoration we also value qualities like professionalism and hard-work, a true reflection of the city of American Fork. We do this because we strive to reflect the great characteristics of the communities we serve. American Fork, Utah is nicknamed “Happy Valley” due to the low crime rates and high standards of living in the community. So when you need fast, reliable water extraction and restoration service in the Salt Lake City area, call our water damage American Fork team with 911 Restoration Salt Lake City today!